Joseph Elijah Barrett is an author, writer, Certified Nutrition Specialist, instructor, and has a Bachelor of Science degree in Information Technology specializing in multimedia and web development. He has written eleven books beginning with The Three Manifestations of Jesus which was published in 1987. His latest is titled Evil Spirits published in 2016. Having an interest in nutrition ever since he began bodybuilding in 1978, Joseph took a certified home study course. He put that knowledge to work by writing Living A God-Glorifying Life Through Health and building and maintaining a health website Living A Healthy Lifestyle. Joseph Elijah teaches New Testament Greek at Eastern Bible Institute located in Irvington, New Jersey. He has been teaching Greek since the late 1980s. Joseph has a knowledge of Old Testament Hebrew and has taught that in the past as well. When he developed a passion for biblical studies, Joseph gravitated to the oneness of God. In pursuing his goal of Godhead specialization, he purchased and studied many books from leading oneness authors. That led him to write his very first book on oneness - The Three Manifestations of Jesus (1987). 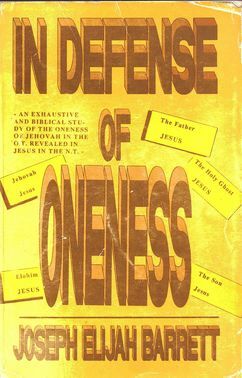 This was followed by three more oneness books, The Doctrine of Oneness (1989), In Defense of Oneness (1994), and Oneness Study Guide (1997). All books are out of print with the exception of the Oneness Study Guide. Two men greatly influenced his development as a oneness scholar - his father Eld. Joseph Elias Barrett (1898 - 1987) and Bis. 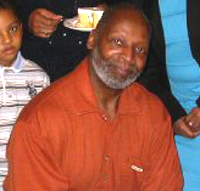 Willie L. Smith (1933 - 2011.) Eld. Barrett established several apostolic churches one of which still thrives today in Middletown, DE. Bis. Smith founded Christian Pentecostal Church of Christ and Eastern Bible Institute in Irvington, NJ. Both men were staunch oneness believers. Not content to just learn about biblical oneness, Joseph studied trinitarian authors too. And over the course of many years, he has debated supporters of the trinity to get a better understanding of their belief. Joseph Elijah has given seminars on the doctrine of oneness throughout America and locally. He has taught a course in oneness to Christian doctoral students. His study guide, The Oneness of God Study Guide, is popular in Bible schools across America and in demand locally.